Dr Suniti Solomon, along with her team, documented the first cases of HIV in India in 1986 at Madras Medical College (MMC) where she served as a Professor of Microbiology for over two decades. At MMC, she formed India’s first AIDS Resource Group. Between 1988 and 1993, this became a dedicated centre that combined HIV- specific voluntary counselling and testing, continuing medical and nursing education, treatment, outreach to young people and social services. This broke new ground as there was no precedent of a comprehensive HIV/AIDS facility within the country in either the public or the private sector. In 1993, after taking voluntary retirement from the Government, she established the Y.R. 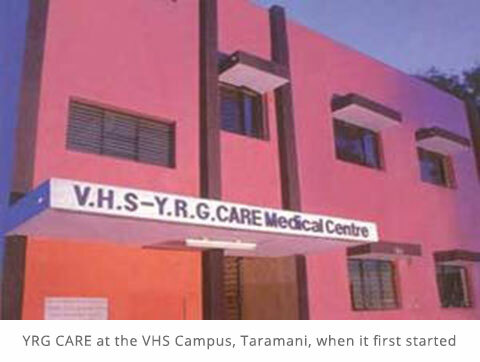 Gaitonde Centre for AIDS Research and Education (YRGCARE) at the Y.R. Gaitonde Medical, Educational and Research Foundation, with a small, select team. In time, the organisation has expanded, and now employs over more than 450 staff. At first, YRG CARE was a one-woman show, with Dr. Solomon addressing audiences that were receptive to her message: school children, community gatherings, civic groups. When there was a need to take care of somebody, she would rent a room in a lodge. Later, friends gave her space in houses they owned. Eventually, the organisation grew large enough to rent the upper storey of a house on Raman Street in the T-Nagar subdivision of Chennai. Eventually, the T-Nagar office relocated and YRG CARE consolidated at its VHS location, with administration, clinical and laboratory services, counselling, pharmacy and other assorted services all coming under one roof. 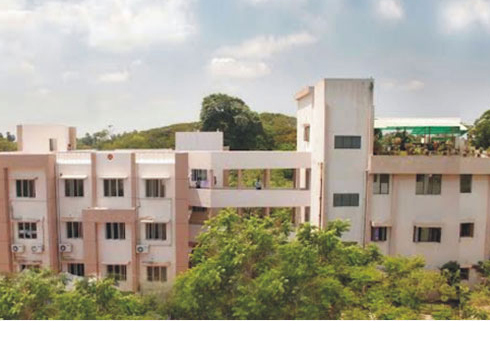 Today, YRG CARE is a state-of-the-art facility of its kind in Chennai, and in India. Just as an example, the laboratory, which started out in the kitchen of the T-Nagar office, is today a world-renowned research laboratory. YRG CARE also has satellite offices in the Chennai subdivisions of Chetpet and Royapuram, catering to specific community outreach projects, and a facility in Nellore, Andhra Pradesh, to cater to the local people who would otherwise have needed to travel to Chennai. After Dr. Suniti Solomon’s passing in 2015, her son Dr Sunil Solomon heads the organization, carrying his mother’s legacy forward. Details of the current administration of YRG CARE can be found here.